Please subscribe to my new site for the latest tips on Health, Beauty and Lifestyle. Skin… the largest organ on the body. it protects, insulates, and basically holds everything together. Over the next few posts I’ll be sharing some of my tips on how to take care of your skin from your face to your feet!!! Water provides so many health benefits to your body, both internally and externally. As you will already we need to consume at least 8 glasses per day in order to replenish the water we lose each day. Your body is 75% water depending on your body size. Water is used in your muscles, blood, bones and your brain. Relieves fatigue: Your body will find it easier to flush out toxins and waste products from the body. if you are dehydrated your organs will have to work harder which in turn will make you feel tired. Healthier Skin: Water aids in keeping your skin looking younger and clearer. 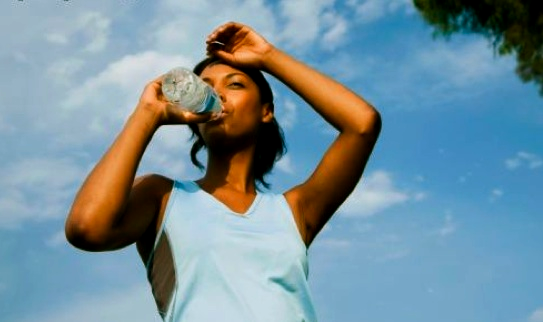 Drinking water helps replenish skin tissues, keeps it moisturized and increases its elasticity. Keeps you alert: Your brain is 90% water. So drinking water will increase your concentration and decrease/eliminate those headaches. Decreases your chances of illness: Water is great, if not the best at detoxifying your body. It flushes out toxins and helps fight against the flu. It also keeps your kidneys functioning well. Better exercise: helps with your body’s ability to regulate you temperature and fuels your muscles! That is just the beginning of all the benefits water has for your body. 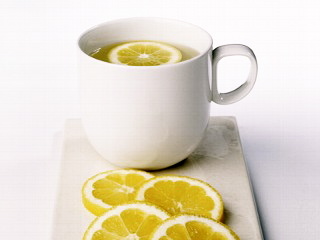 I love squeezing half a lemon into my hot cup of water with 1tsp of honey to start the day. Using lemon will kick start your body and remove any toxins in your body. Drink at least 1 hr before you eat. Carry a water bottle with you everyday and drink throughout the day. Drink water instead of soda or coffee, which dehydrates your body. So, I have a weakness for poetry. There’s just something about spoken word that moves me and provokes deep thought. Emotional, serious, funny, political etc I don´t really have a preferance, I listen to all types. Poetry is one of the ways to express art with the arrangement of words and reflect beauty in our own language. 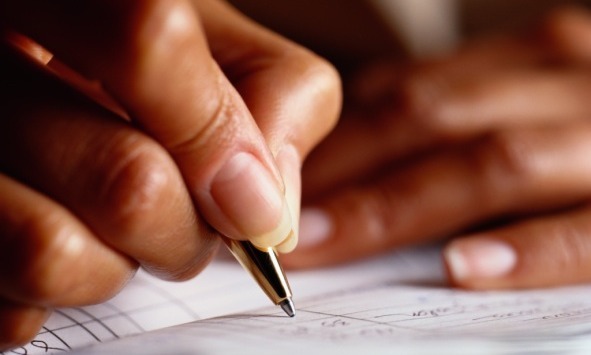 Poetry can be crafted, has no rules and it doesn’t have to rhyme and you can write freestyle. Poetry invokes an emotional response from the reader. So what are your thoughts on this poem? 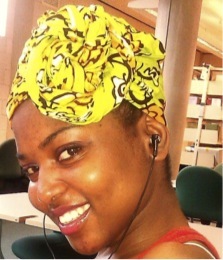 I go by the name of Thandiwe, 19 and of Southern African origin a mixture of Zambia and Zimbabwe. I’m currently a university student. And most important I am a Child of God. So, why did you decide to be natural, and how did you feel doing the big chop? 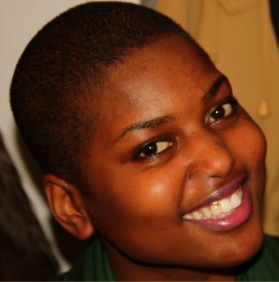 This is not my first time being natural, growing up in Zimbabwe, I was raised by my Grandmother for a few years and the only hairstyle she knew was keeping the hair short and so I grew up with that same hairstyle, attended a primary school that didn’t allow long hair so had to keep my hair short all the time. I grew up clueless on hair care and when I arrived in England I decided to cut my hair for my first day in school, BIG MISTAKE, because I was mistaken for a boy for a good two years if people didn’t know who I really was. So I decided to grow it out and I started texturizing it but with little knowledge of hair care. My hair was covered with weaves and braids all the time and with that I rarely oiled it which was another mistake I made. I decided to go to a professional for a professional retouch and haircut in 2010, since I was becoming a lady. 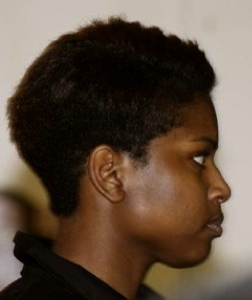 The trend that year was short hair at the back “the Halle Berry look”. It became my tradition to get a haircut every 2 months. 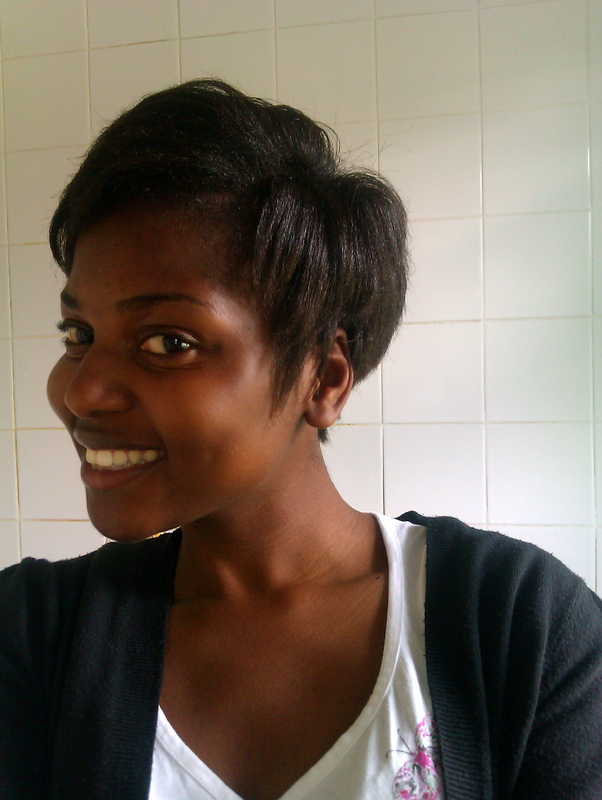 Then 1st September 2010 I decided to cut my hair, I was just fed up so I went short. By the end of June I decided to relax my hair and within a month my hair started to look raggedy, unhealthy and the split ends were horrible! I ended up giving up on my hair and just used hair bands and curlers all the time until I went to University, I started thinking about how important my hair was and was pretty self-conscious about it. Soo… on the 11th November 2011 I went to the barbers and the person who cut my hair was so shocked at the state of my hair.. I really hadn’t thought of cutting it all off but the barber was showing me bold patches and the way my hair was damaged so it was a spontaneous decision and I said cut it all off. What reactions did you get from friends and family? The quality of my hair was pretty bad, it was thinning and I naturally have thick hair. It had this dirty brown look and the split ends.. I’m sure some reached down to the roots.., my hair was breaking every day and I tried treating it and all sorts but I think I was too late. It had become almost like straw just stuck on my head. What have you learnt from the experiences you’ve had with your hair? What is your hair regimen and what are you staple hair products? 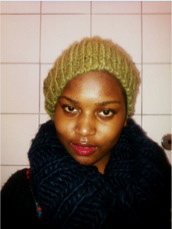 Since it winter I use a lot of hats and head wraps to cover and protect my head from the wind and the COLD. 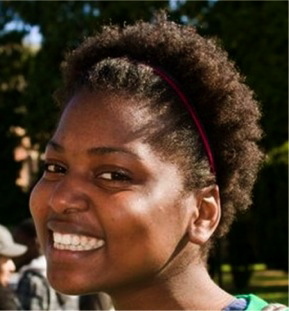 What would you say to others who are thinking about doing the Big Chop? I would tell them TO GO FOR IT ignore what other people tell you, and also it actually boosts your confidence and self-esteem and there is no time like the present to experiment! 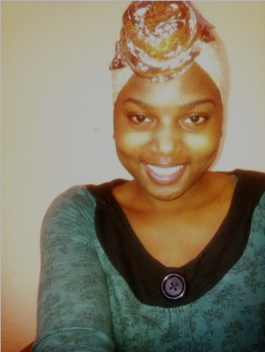 I am currently learning more about natural hair products to use for my hair and its fun! It's so cold this winter!! 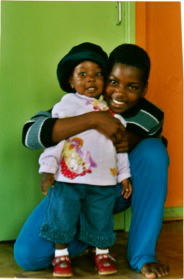 I hope you enjoyed reading Thandiwe’s entry and if you have any questions for me or Thandiwe please post them in the comment section below. Diaries of a Natural Sista is a series capturing the different stories and experiences of women who have just become natural to those who are ‘experienced’ naturalistas. Hope they will encourage, inspire and inform anyone who is interested in natural hair and its care. As I was reading my promise of the day I came across this letter from God, it was compiled with different verses in the Bible. This letter has changed my life. 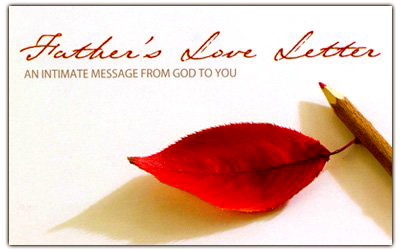 As I am writing this post my eyes are filled with tears in awe of the Love our Heavenly Father has for you and me and He is just waiting for you to receive His love. We all make new year resolutions… but how many of them last a month… better yet last for more than a week? It´s funny how we let the busyness of life consume us… and then when we stop and look up it´s already November… another year has passed. Did you accomplished what you set out to do in January 2011?? So its been about 2 weeks since my last post… and over those couple of weeks I´ve been doing a challenge to basically turn my life around and get rid of old habits that are holding me back or preveting me from really achieving my full potential in all aspects of my life from spirituality to financially and everything else in-between. So that is basically one of the things I addressed, it is so easy to relax and put things off especially when things start getting a little challenging and we find it hard to keep up even with ourselves. Long term goals are great and I´m sure you have goals in your life on where you want to be at the end of the year or in 5 years time. Then you have short term goals which are just as important in keeping you focused on what you want to acheive. Here´s the thing about procrastination aka the thief of time; you only need to put something off once and before you know it, a month has passed and you are nowhere near to finishing that project you started or running out of time with the report you had so long to write for school, or you still haven´t lost the pounds you set out to lose. The problem in life is that there’s not much immediate gratification. It’s all about instant results… so what happens is that you don’t see enough change right away, you don’t see the amazing results you’d like to get and you know you’re capable of right away. And that is definitely one thing I have personally discovered, I can start something with so much determination and then after about 2 weeks I start relaxing. 1) Start each day as though it is day one of my goal. Take each day at a time. 3) De-clutter your life,… how will you receive something new if your life is so full of unnecessary baggage. That includes your home, your relationships (either ending or enhancing them) and our thoughts. 4) Get healthy… this includes juicing (well in my case going to a juice bar since I dnt currently have juicer), increasing my raw food intake and doing regular exercise. These are just a few of the things that I have incorporated and started in my life. What is the point of waiting a couple months to start a new year resolution especially when tomorrow is not promised! I have some major goals I want to succeed and as I accomplish I will definitely be updating and sharing the experiences that I go through on this journey called life. I don´t know about you but I am starting my resolution… no time like the present…while some are waiting for “January 2012” others are already making things happen now!! What are your resolutions going to be? So I´ve now officially decided to become vegetarian (once again) and ultimately aim to become vegan. I have attempted so many times to implement this into my life… and I´m so determined (many of you who know me will know what I mean lol) for the first 3 months or so and then slowly that ´just fried´ smell of chicken slowly travels across the room specifically looking for my nose just to tease it, and i instantly start craving it. It definitely is a constant battle for me but I recently read a post about self-discipline, and what I was that so many of us start new year resolutions, set goals and start challenges…we start so strong and focused but somehow, somewhere along the way we get distracted or we relax for a just a moment and before you know it you´ve given up, made excuses and not finished what you set out to do and you´re back to square one. Anyway let´s not dwell on chicken so much… the whole out of mind out of sight doesn´t quite work for me because as much as I try to avoid being around chicken at some point it will be placed infornt of me and I will need to have the self-control and discipline to look at it and feel nothing for it. This is what I am aiming to achieve over the next couple of months. 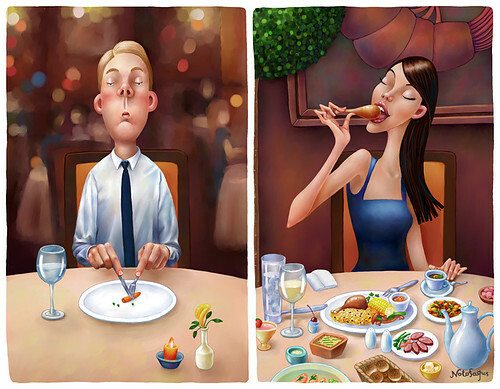 there´s a difference between a vegetarian/vegan physically but it has to be a mental thing, just like forming a habit. I´ve reached a point in my life where I want to live my life on purpose, direction and focus, mentally, physically and spiritually. The beginning of each of these journeys that I am taking are so exciting and so full of motivation, and dedication but that´s the easy part… the challenge will come when I reach those tough situations and the choices I make will determine whether I fail or Follow On Course Until Successful!!! I´ll be doing regular posts about my journey to update you on my progress 😀 And if you have any ideas I could do let me know in the comments section. Philippians 4:13 I can do all thing through Christ who strengthens me.